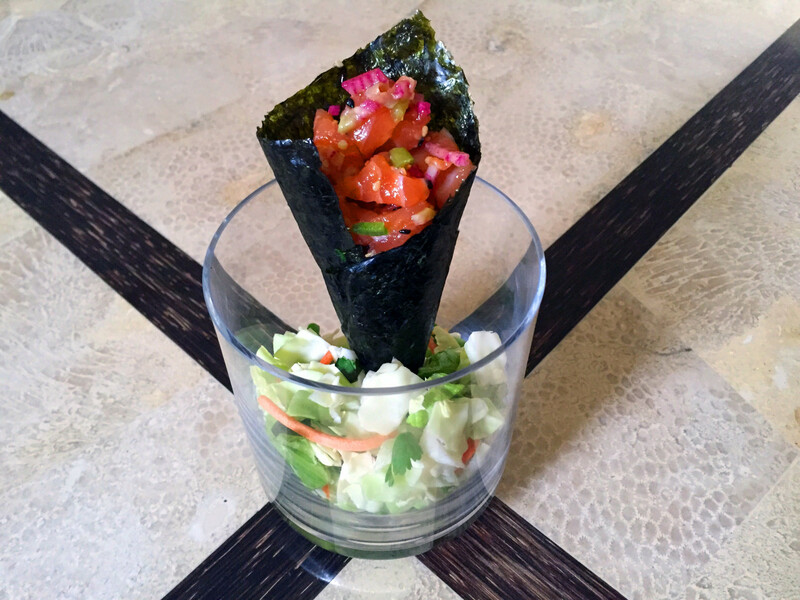 Here’s a simple take on the sushi handroll. In lieu of sticky rice, I just add in more veg and make a spicy paleo mayo for some added flavor and to help hold everything together. I buy sushi grade tuna from my local market so its ready to go raw. If you’d prefer it seared, rub the tuna with sea salt and heat coconut oil on medium high heat in a large skillet. When oil is hot add tuna and sear 60-90 seconds per side. Up to two if it really thick, keep an eye on it. To assemble the rolls, cut each Nori in half. Spread some paleo mayo sriracha across the middle. 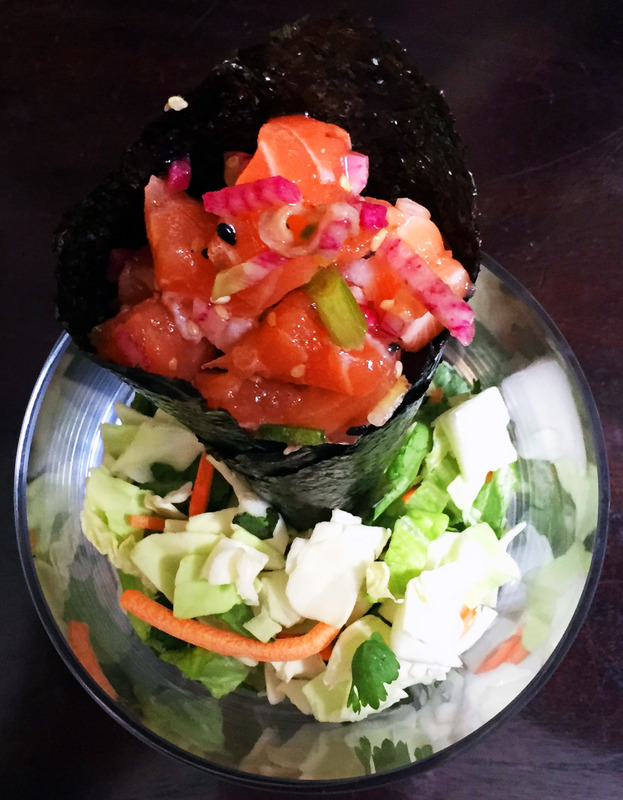 Place ingredients on the Nori (you can really add anything you like, use the ingredients as a suggestion or starting point). Then starting with the bottom left corner, using moist fingers, roll the nori diagonally into a cone shape. Make sure to roll it tight.